Even if you understand the dangers of drunk driving and have scrupulously avoided driving while intoxicated in the past, anyone can make mistakes. This is particularly true considering that different individuals process alcohol at different rates. Two different people may consume the same amount of alcohol, yet only one of them may register a blood alcohol content (BAC) over the legal limit. Your first DUI arrest is likely to be a distressing experience. Remember that you have the right to contact a criminal defense attorney and you should do so as soon as possible. 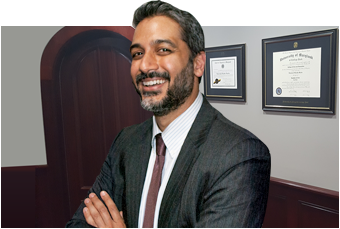 A lawyer at a DUI law firm near Waldorf MD can defend your legal rights and serve as an advocate on your behalf. Since this is your first arrest for DUI, you may not be aware that you’re facing both administrative and criminal penalties. Once the arresting officer establishes that your BAC is 0.08 percent or higher, your driver’s license can be automatically suspended. Your driver’s license can also be suspended if you refuse to take a chemical test. Additionally, if you are convicted, your driver’s license can be revoked for six months under Maryland DUI law. Before your license can be reinstated, you must complete an alcohol assessment and treatment program. You may also be required to have an ignition interlock device. Losing your driver’s license isn’t the only problem you’ll have to worry about. Although hiring a DUI lawyer will provide you with the best chance of having the charges dropped or mitigated, evidence against you may still result in a conviction. As your criminal lawyer can inform you, first-time DUI offenders can be sentenced to up to one year in jail. Additionally, the judge may require you to pay a fine of up to $1,000 and you may have 12 points on your license. After you’ve been arrested for DUI, it’s imperative to arrange legal representation as soon as possible to protect your legal rights. Even before your driver’s license is revoked for up to six months, it may be suspended for 45 days. To maintain your driver’s license while your case is pending, your DUI lawyer can request a hearing before the Maryland Office of Administrative Hearings (OAH). Additionally, you’ll need a criminal defense attorney on your side when you go before the judge in a criminal court.